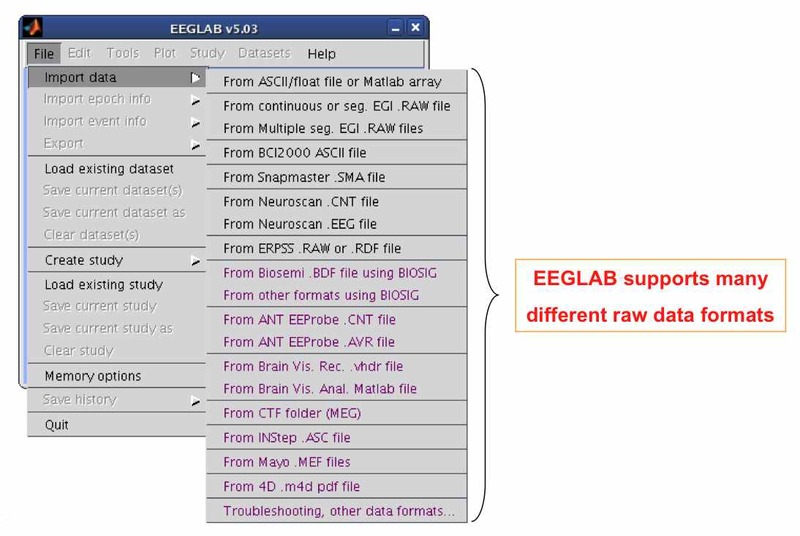 This Talk -- Klaus Gramann, resesarcher at the Swartz Center for Computational Neuroscience, UCSD, shows how to get started using EEGLAB: importing the scalp data, channel locations and event information, visualizing the data, and performing simple channel data ERP averaging and visualization. Download the 51 talk slides here (24.6 MB, pdf). The talk concludes with an exercise. Download the data set used in the tutorial here (4MB, zip). Return to the Workshop Program, to the Gramann homepage or to the EEGLAB home page.